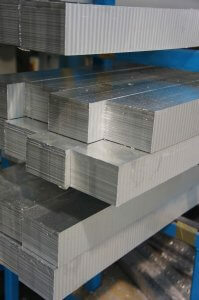 Corex Express:Buy aluminium honeycomb online! Corex Express enables you to buy aluminium honeycomb online. Corex Honeycomb is the sole UK manufacturer of high quality aluminium honeycomb which is used in a wide variety of applications worldwide. Aluminium honeycomb is highly desirable due to its incredibly high strength-to-weight ratio and excellent bonding characteristics. Corex Honeycomb supplies aluminium honeycomb to global markets including the Motorsport, Aerospace, Marine, and Defence, Rail, Construction, Architecture and Automotive industries. It also has more specialised uses such as air flow straighteners, clean room panels, sacrificial laser cutting beds, ventilation and specialist automotive applications. Like all core materials, aluminium honeycomb is designed to be sandwiched between two skins of material to create a sandwich panel. By creating distance between the two skins and ensuring that these skins cannot move relative to each other, great mechanical advantage is gained making for very rigid panels with only minimal increase in weight. 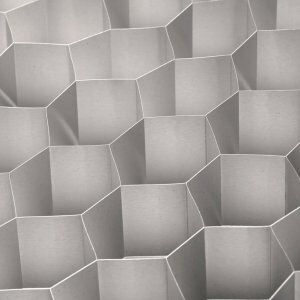 As a global supplier, Corex Honeycomb manufactures a full range of aluminium honeycomb which is available ‘off the shelf’ in a variety sizes and thicknesses. Order now- it’s quick, easy and fast despatch means that you can make use of this incredible material in your composite project without a manufacturing delay or minimum order value.We now hold stock of our most popular cell sizes offering worldwide shipping* and convenient payment options including MasterCard, Maestro and Visa. (*currently unavailable to Iran, Sudan and Syria). You’ll still need to contact us for more complex or larger product requests. Simply send us an outline of your requirements and one of our sales team will get in touch right away on sales@corex-honeycomb.com. To check the specification you require, please refer to the datasheet, available here. Please choose from our range of cell sizes, then choose your sheet size and thickness on the product page.